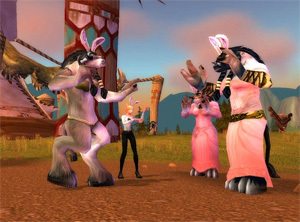 How quickly do you think you could complete your daily quests on World of Warcraft? How about two hours? That’s the power of good WoW dailies guide like Dugi’s Dailies and Events Guide. A daily quest guide is a valuable tool that any World of Warcraft player can benefit from. Each character can only complete 25 daily quests per day, so you will have to pick and choose the WoW dailies you want to do. You should begin by setting your priorities. Think about what your character needs next, and then go from there. If you’re a new level 85, then you will probably want to look for dailies that grant both reputation and gold. The Sons of Hodir daily quests in the Storm Peaks are a great place to start because virtually all classes can benefit from an exalted status with the Sons of Hodir. One of the most important things you can do when planning a strategy for daily quests is to plan your route. You can’t be effective if you don’t have a plan laid out, and you’ll lose valuable minutes by not planning ahead. A WoW dailies guide will help you figure out which daily quests will benefit you the most and help you lay them out so you can get them done in a timely fashion. Another very helpful part of a WoW dailies guide is the breakdown of all the daily quests that are available. It is very difficult to choose which daily quests will help you out the most if you don’t know the benefits of each one, so looking at a complete breakdown is vital to determining which ones you should do. All of the daily quests are a great, stable way to make gold, but some of the WoW dailies will earn you more gold than others. A good WoW dailies gold will help you make sure that the gold dailies you run are maximizing the amount of gold you make on a daily basis. Another important part of running daily quests is farming for reputation, and not all classes and races will benefit from earning reputation with the same factions. For example, melee DPS will want to build up reputation with Knights of the Ebon Blade, but tanks will prefer to build up reputation with the Argent Crusade. This is because these two factions each offer a very helpful enchantment, but the enchantments they offer are only good for DPS and tanking classes respectively. Also some factions are in opposition to each other, so checking out your WoW dailies guide will help you make sure you’re not working on reputation for two factions that detract from each other. One example of this is in Sholazar Basin, where completing the daily quests for the Frenzyheart Tribe will cause you to lose reputation with the Oracles, and vice versa.